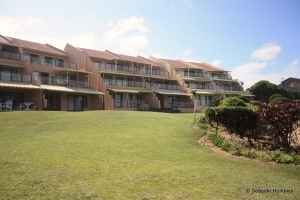 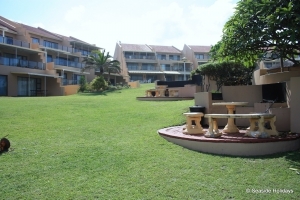 Out unit at Summer Place is located on the first floor, maximising the marvellous sea views and overlooking the rolling lawns and swimming pool. 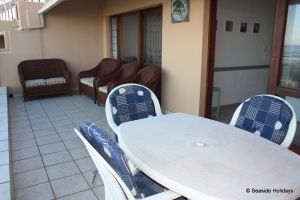 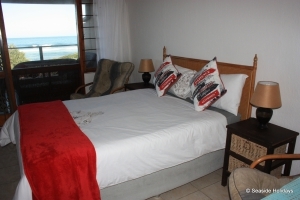 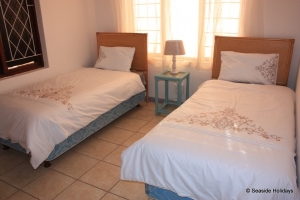 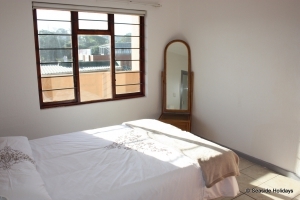 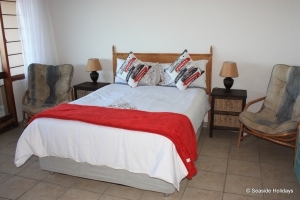 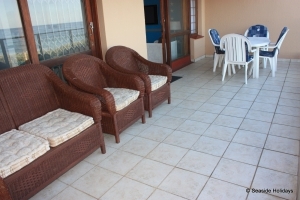 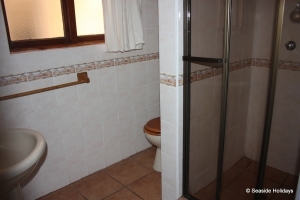 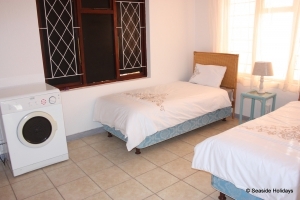 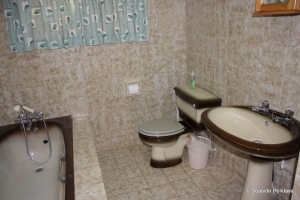 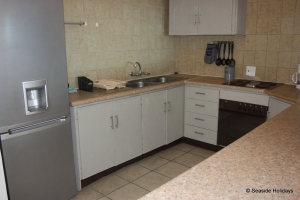 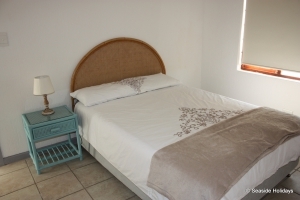 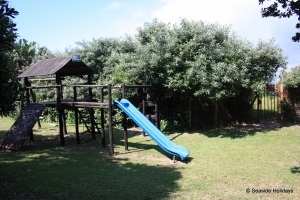 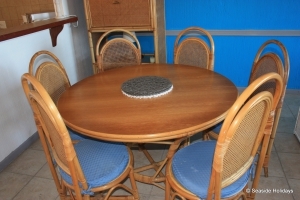 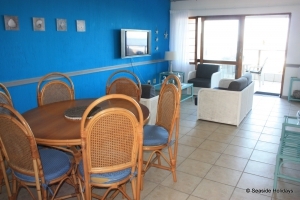 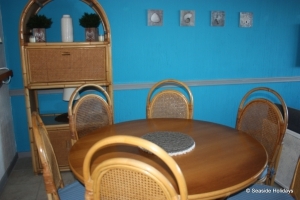 It is a comfortably appointed and spacious three bedroom, two bathroom apartment sleeping six guests. 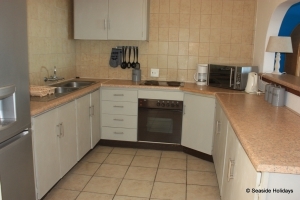 The kitchen is fully equipped for all your day-to-day cooking needs and there is a washing machine and tumble dryer for your convenience. 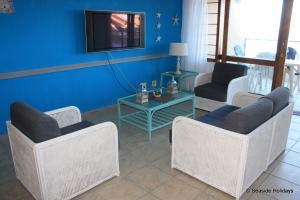 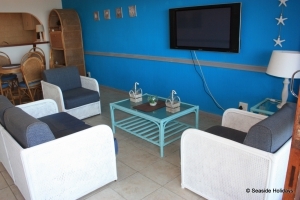 The living area has a dining table and comfortable lounge suite set in front of a 42" LCD television with a limited selection of DSTV channels. 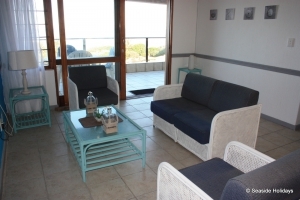 The lounge leads through sliding doors onto a large balcony with both a dining table and comfortable outdoor lounge suite where one can watch dolphins frolic in the breakers and whales breaching beyond. 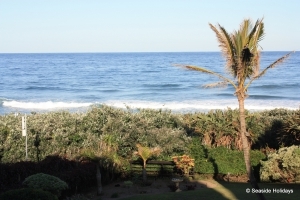 Shelly Beach, with the busiest small craft harbour on the South Coast, is very popular amongst fishermen and divers as well as those wanting to enjoy whale and dolphin viewing trips and pleasure cruises. 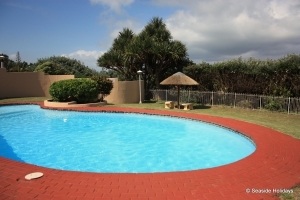 This does not detract from the lovely tidal pool, lagoon and beach that has shark nets and is patrolled by lifeguards during school holidays. 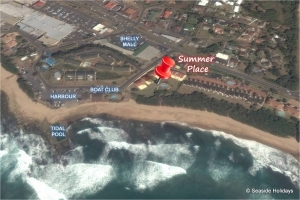 The shopping mecca of the lower South Coast, Shelly beach is home to two large malls - the Shelly Beach centre with more than 100 exciting shops, department stores and cinemas, and down the road the South Coast Mall with 75 stores. 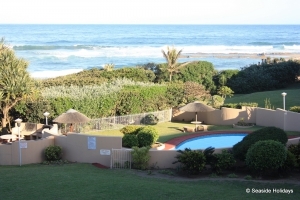 Shelly Beach is also host to the largest reptile farm in Africa with a host of snakes, crocodiles and indigenous and exotic reptiles as well as scuba reefs including the renowned Protea Banks.